American architect of the nineteenth century Morris Hunt was one of the key figures of the size of the US architecture. He left her mark in many buildings like the New York Tribune Building, the façade of the Metropolitan Museum in New York or St. Mark's Episcopal Church in Islip, Long Island. 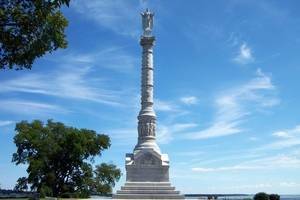 He is the architect of the pedestal of the Statue of Liberty, where the presence of this biography on this site. 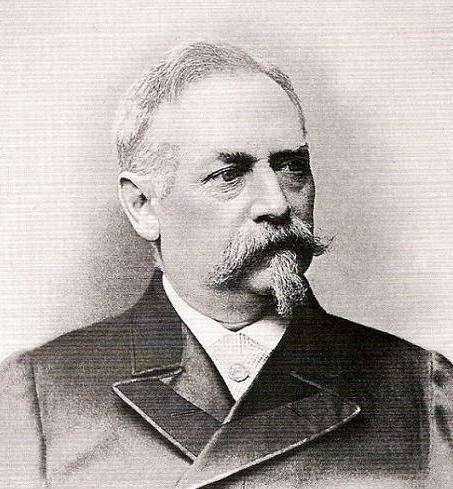 Born Oct. 31, 1827 in Brattleboro (Vermont) Jane Maria Leavitt, from a prominent family of Suffield, Connecticut, and Jonathan Hunt, US Congressman, he is also the grand-son of Lieutenant Governor Vermont, and descendant of the Hunt family, wealthy family. He has two brothers, William, an influential painter of her time, and Leavitt, photographer and lawyer. After the untimely death of her father, her mother went to Europe with her children where she remained for more than a decade, first in Switzerland and then in Paris. 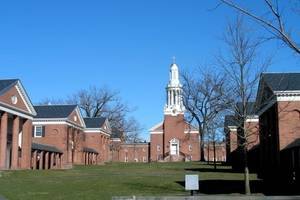 Back in America, Boston, Hunt began her studies at the "Boston Latin School." In 1843, and after graduating, the young Morris left his family back to Europe where he studied fine arts, encouraged him to pursue the study of architecture by her older brother William and her mother, who does was not able to paint itself for convenience because due to her rank. During this period he made some European travel in the Loire Valley where he discovered the splendor of Renaissance castles, he will be guided in its work later. In 1846 he entered the Paris studio of Hector Lefuel, becoming the first American to follow the courses of the School of Fine Arts in Paris. Became her mentor, Lefuel Hunt offered great freedom in performing her work, giving him extensive work such as renovation of the Louvre Museum commissioned Napoleon III (1854), or the design of the Library Pavilion, face the Palais Royal. Hunt will use these experiences later to delight the budding young architect Louis Sullivan with her stories of work on the new Louvre. Hunt returned to the United States in 1855 and founded the first school of American architecture, with only 4 students the first year. This school was locked to her own learning of Fine Arts, of which he thereby introduced the concept in America. 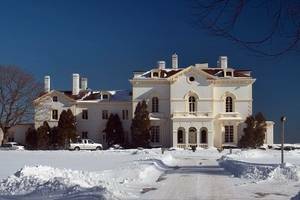 It led to the creation of a new architectural style, ostentatious and eclectic style, designed for houses of the American elite, where each character trying to compete with her contemporary for the most original house. This golden age is illustrated by a quote: "The first thing you have to remember is that this is the money from your customer that you spend Your goal is to achieve the best results by following their desires If.. they ask you to build a house upside down, standing on its chimney, it is for you to do. " The greatest influence in this Hunt chase was her insistence that the architects are well treated and paid, and that the profession is considered the equal of doctors or lawyers. He went on one of her first customers for non-payment of her fees by five percent, which created a jurisprudence that would not have been caused few years earlier. As the years passed her workshops welcomed more and more people. Among them include William Robert Ware, who has been deeply influenced by Hunt. It was he who created the first two university programs in architecture: At MIT in 1866 and Columbia in 1881. 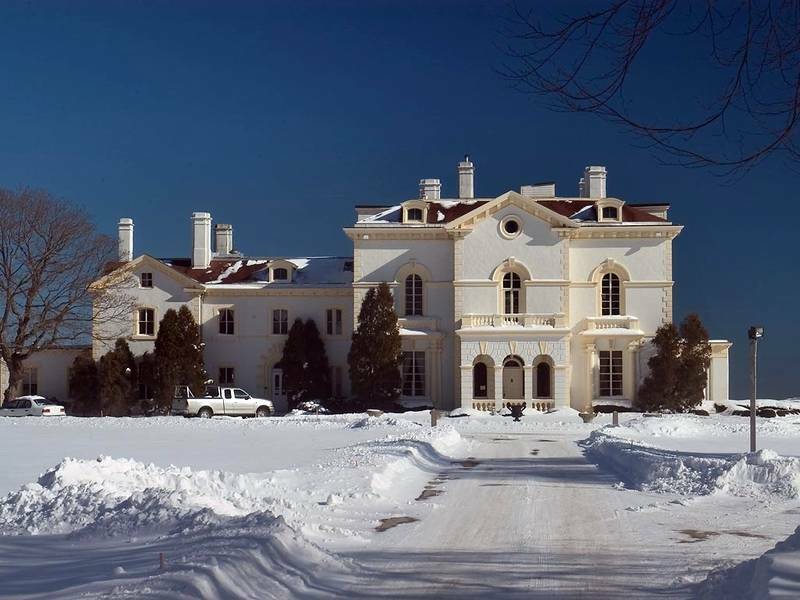 Morris Hunt was a gregarious man, he had many relationships among the wealthiest families in the United States, so he got her yards. It is said that during a recent visit to the construction of the house Vanderbilt, Hunt discovered a tent hiding an object of importance in one of the ballrooms. 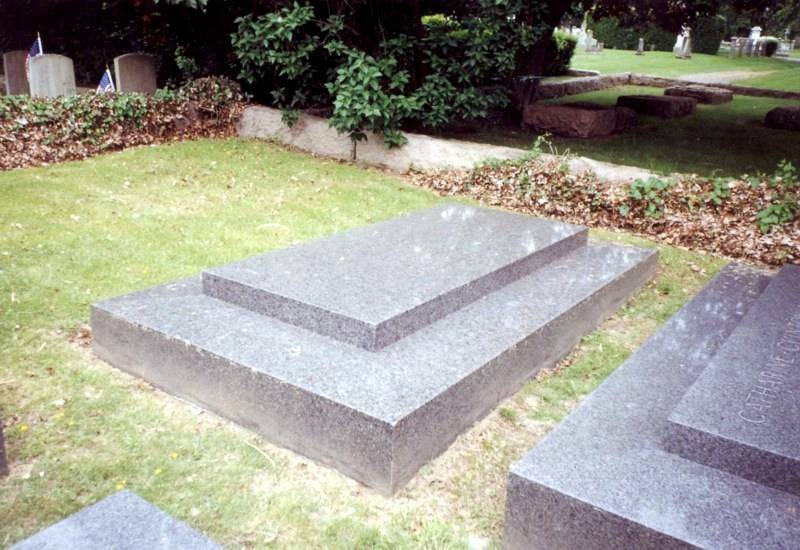 After investigation, it was discovered that he was her life-size statue, dressed stonemasons clothing. Vanderbilt made this statue installed on the roof of the house, pointing to the man that was its architect. 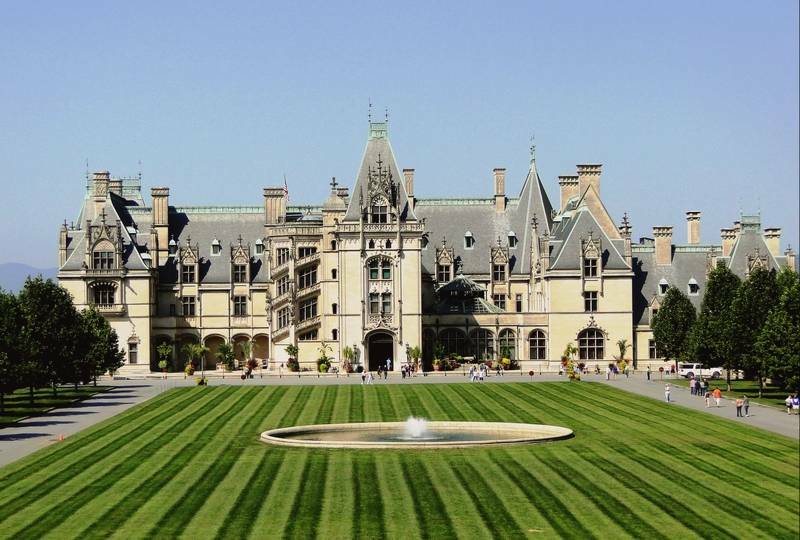 It must be said that he had already designed several houses for the Vanderbilt family. Most of those who met Hunt came away surprised by the man. At their first meeting, in 1869, Ralph Waldo Emerson spoke of "a remarkable person, in cheerful conversation, fast, and able to hold forth on art as on the most basic issues." Towards the end of her life he was involved in the Chicago World Fair of 1893, when her building received the administration the gold medal of the Royal Institute of British Architects. Morris Hunt died July 31, 1895 and was buried in the cemetery in Newport, Rhode Island. 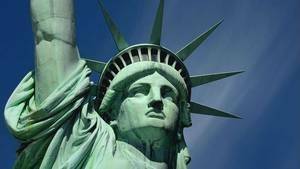 He became an honorary member of the French Academy, and Chevalier of the Legion of Honor, a distinction it has obtained following the manufacturing base of the statue of Liberty. In 1898, 3 years after his death, the "Municipal Art Society" commissioned a Memorial which was designed by the sculptor Daniel Chester French and architect Bruce Price. This monument is located at the intersection of 5th Avenue and 70th Street in New York. After the death of Morris, her son Richard Howland took over from her father. 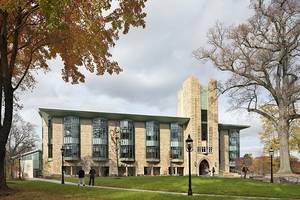 Here is a list of buildings of Morris Hunt as an architect mostly, sometimes as a simple consultant. 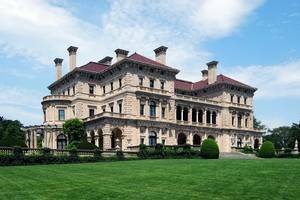 The list is not exhaustive, it consists of either public buildings or large private homes, the main homes of New York or secondary homes in Newport, as is often the rich families of the late nineteenth century decided. This list is in chronological order. Click on the titles for the photo and a short description. 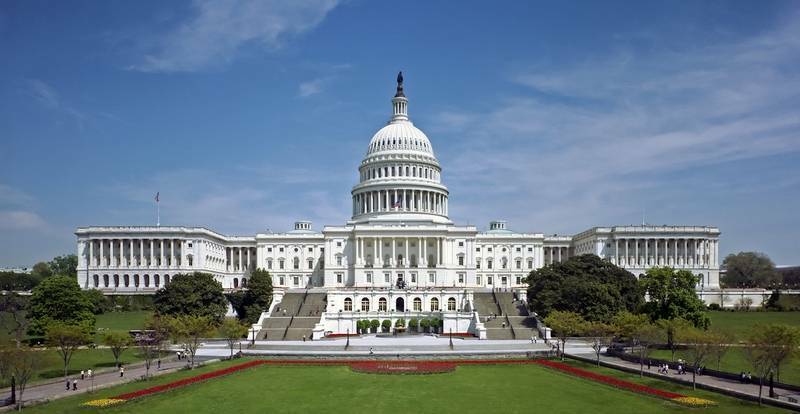 The extensions of the Capitol in Washington, a creation which was attended Morris Hunt. One of the first works of Morris Hunt was to participate in extensions Capitol in Washington. 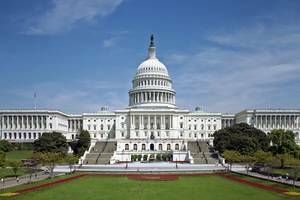 The Capitol is the seat of the US Congress which is called "Congress". The building itself is older, but he needed an extension of its premises during the nineteenth century. Morris Hunt has participated, without her being the prime contractor. 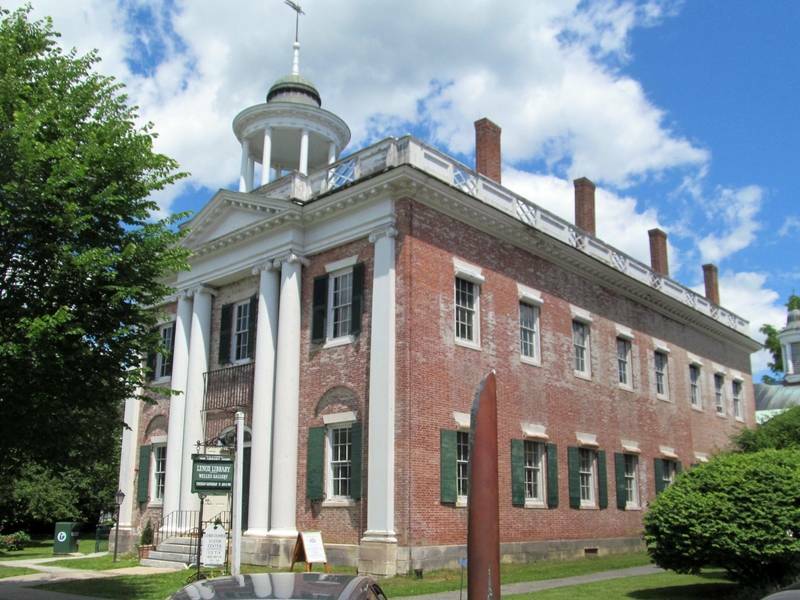 The Lenox Library is a rectangular building with a white neo-classical façade. It is built of red brick, conventionally for the mid-nineteenth century. 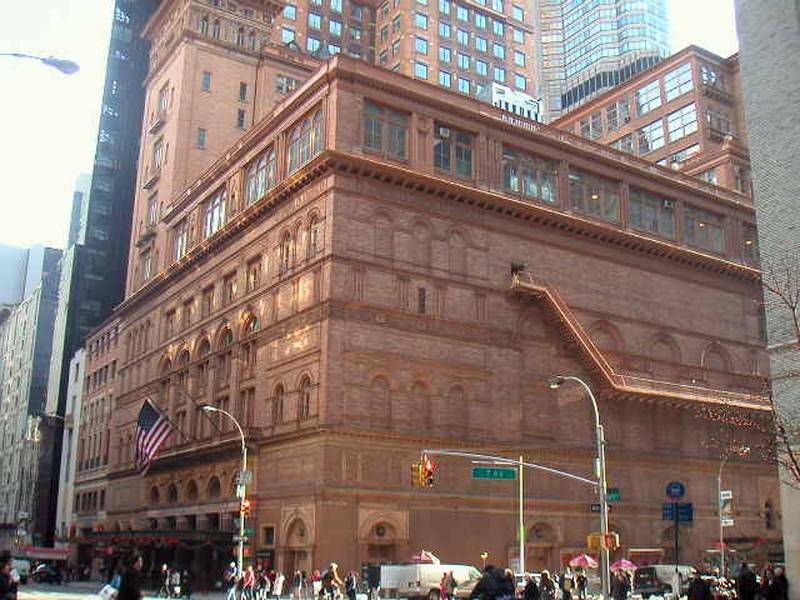 From this building, critic Montgomery Schuyler said it was the most monumental public building in New York. 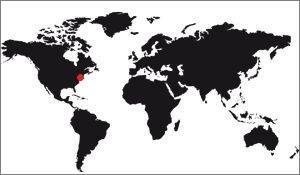 The house of the artists, a group of studios, apartments, art galleries right in New York. In 1857, James Boorman Johnston asked the young Richard Morris Hunt, the first French architect by training in America, to design studios for the artists so that they can create, display, and sell their works. Morris Hunt was a great success and this building became the main art center of New York during the late nineteenth century. 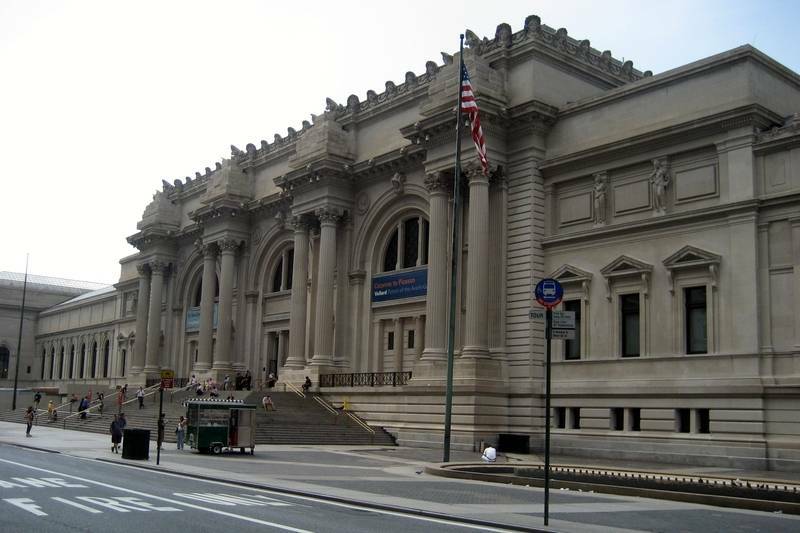 In 1879, JB Johnston ceded the building to her son John Taylor Johnston, who later became the first president of the Metropolitan Museum of Art. The same year, the painter William Merritt Chase said the gallery shaped Dom and breathed new impetus to the establishment. 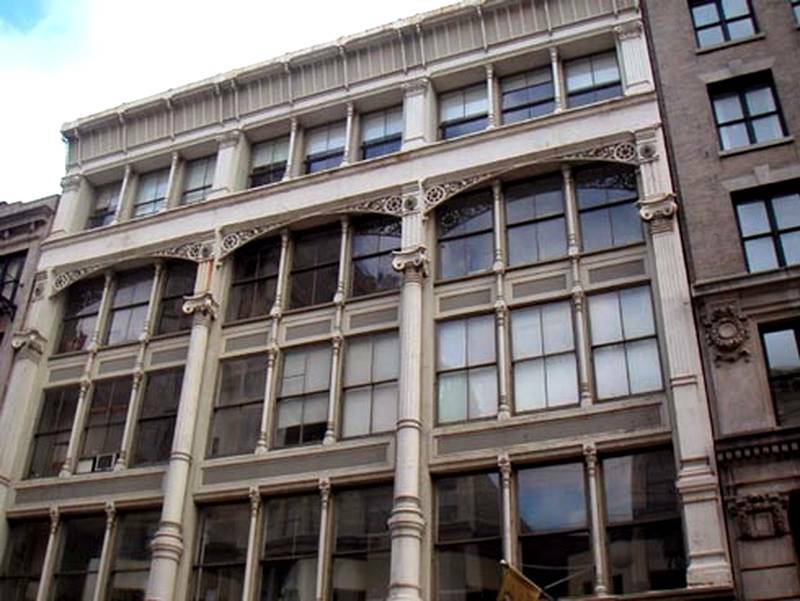 With the departure of Chase 1895 the studios of 10th street lost their importance in artistic circles. 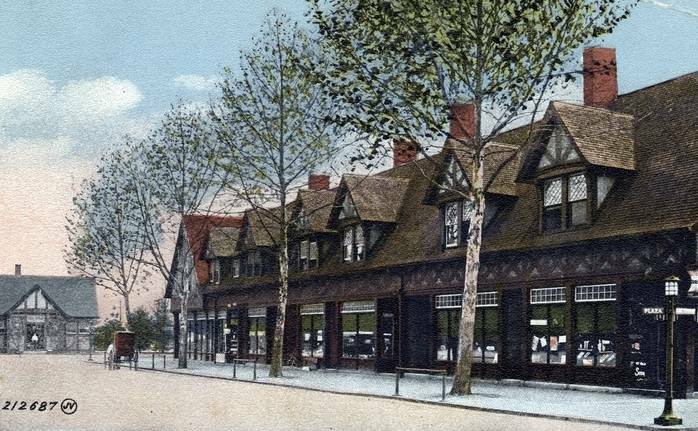 In 1920, members purchased the building to deal with a business takeover. This arrangement lasted until 1956, when the building was razed to make way for apartments Peter Warren, a 11-storey building named after an owner of the eighteenth century. 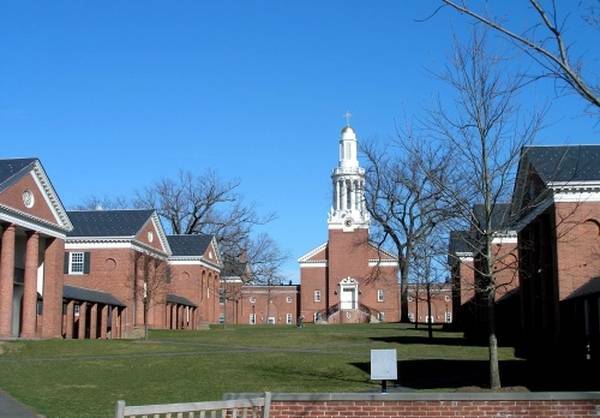 Morris Hunt built the Yale Divinity College in 1869. The decorations are inlaid with clovers, lily flowers and flying buttresses have a style approaching the High Victorian Gothic. This was a pretty big job. Morris Hunt was the architect of the theological library of Princeton. This library is linked to the Marquand family, from New York, including Morris Hunt was a friend. 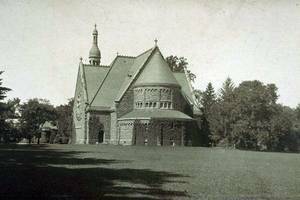 Chapel of Marquand, Princeton, a friend of Morris Hunt. This is the expansion of the existing chapel, dating from 1846 and now too small for the community of the seminary in Princeton. Morris Hunt was the architect of its reconstruction. It is based on a novel style. The chapel is 5000 square feet on a Greek cross plan basis. It is built of brick. 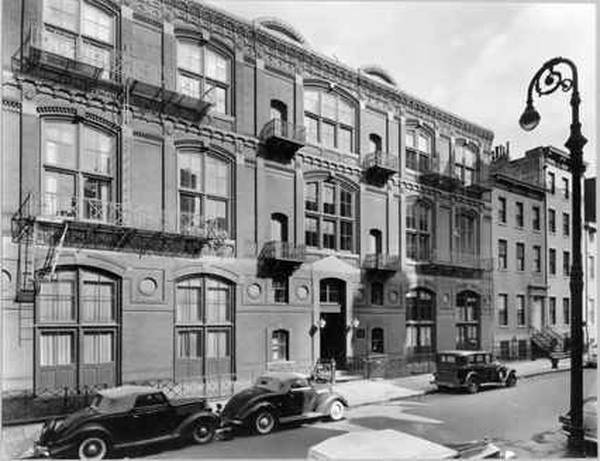 One of the first achievements of Morris Hunt, "The Stuyvesant" apartment house was scheduled to host American families of the middle class. This building was unfortunately destroyed, nowadays it no longer exists. The Roosvelt building, in New-York. 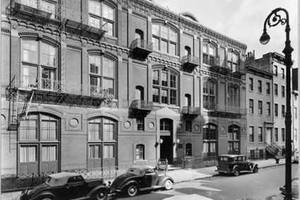 Located on the site of former offices of the Roosevelt family, this building was built to house commercial offices and thus finance the construction costs of a hospital honoring the memory of Roosevelt. This building was not constructed in the image of its owner, it was impersonal, which was unusual for this time in this neighborhood. 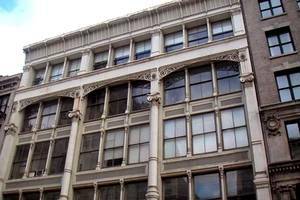 The building has large windows on the façade and wrought iron decorations in the corners of the windows. The small ornamental toasting French style gives character to one of the last buildings constructed of cast iron. The general idea of this building was to design a huge glass front for an all-metal building. 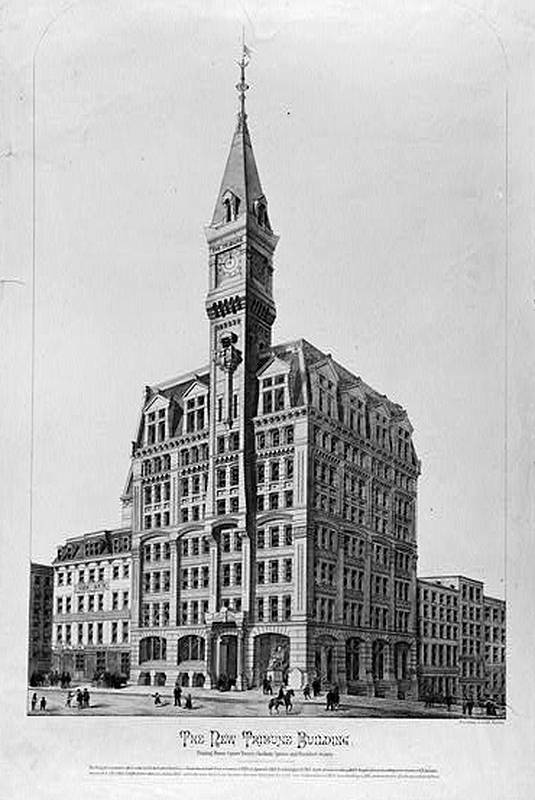 Now demolished, the Tribune Building is a youth construction Morris Hunt. 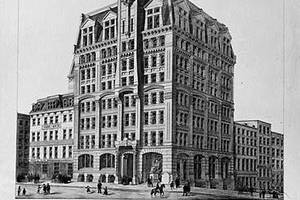 He had the characteristic of being one of the first skyscrapers of New York and the third office building with an elevator. 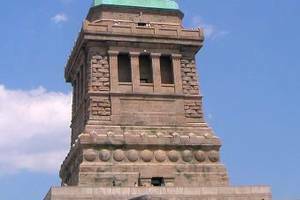 It was erected at the entrance of the current Brooklyn Bridge in one of the most economically active areas at the time. The Tribune Building was brick and stone, it was surmounted by a monumental belfry. The remains of Henry G. Marquand, the largest house has done Morris Hunt. 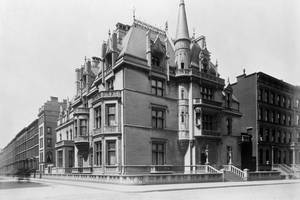 When the millionaire Henry G. Marquand decided to build her house in New York, he chose a triple palace in the northwest corner of Madison Avenue and East 68th. He asked her friend Richard Morris Hunt to take over the plans and construction. 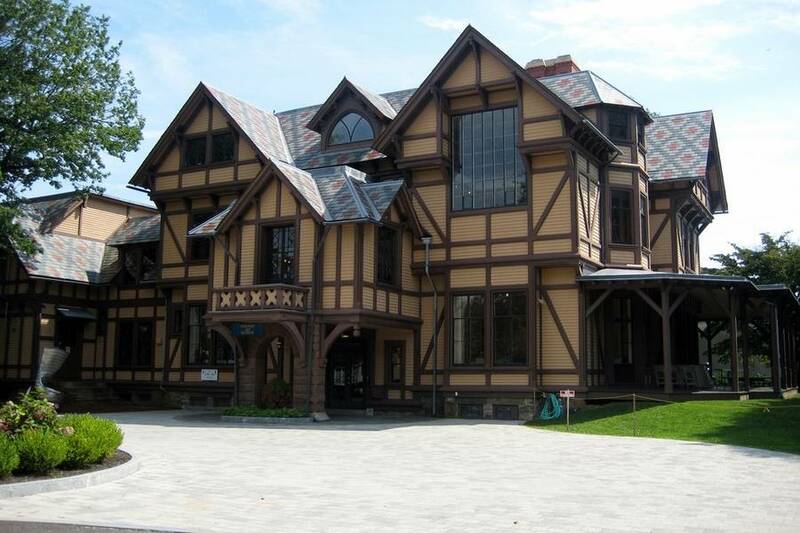 Hunt had worked for Marquand on her cottage Newport "Linden Gate" or Marquand Chapel, Princeton University. Although this house is not the best known he did, he is the greater. 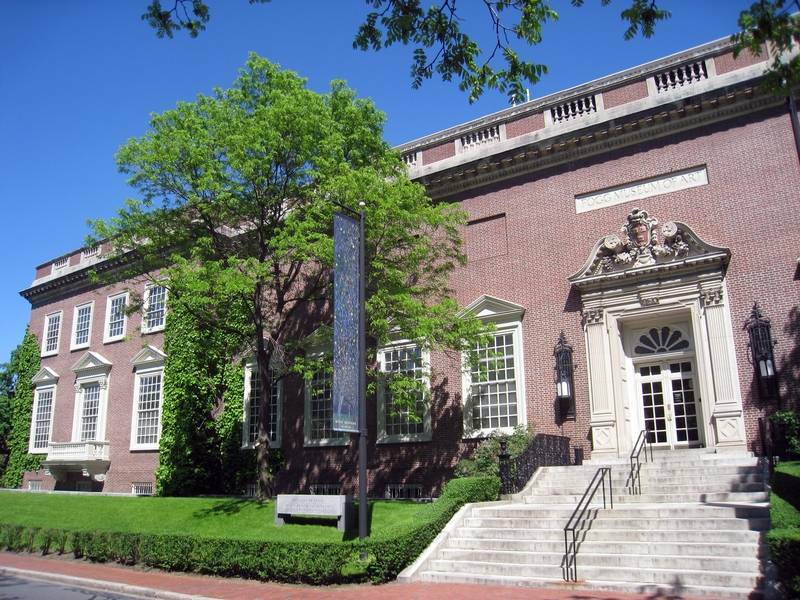 Morris Hunt realized the first building of the Fogg Museum of Art, Cambridge. He chooses an Italian Renaissance style. The building was then replaced in 1925 by another of Georgian style. 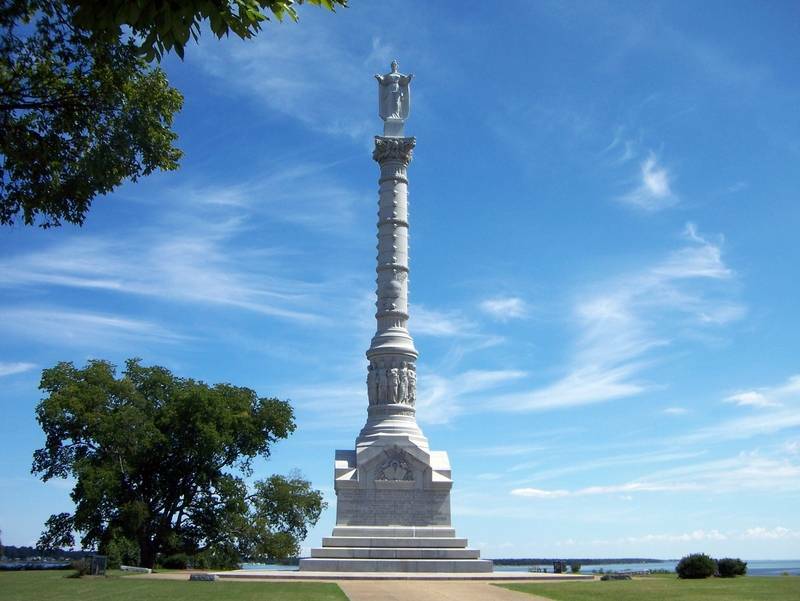 Yorktown Monument is a monument commemorating the victory of Franco-American troops against the British during the US War of Independence. It is outside the current city. Designed by Morris Hunt, it was originally a statue of a carved symbol of the victory by John Quincy Adams Ward, but it was destroyed in 1942 and replaced by a statue depicting the Liberty (Oskar JW Hansen in 1957) A memorial to french soldiers died in the Yorktown campaign is in the french cemetery on the site of the battle. This house built in the late nineteenth century in the heart of New York was intended to show the wealth of the family. It was built according to the aesthetic canons of European history. 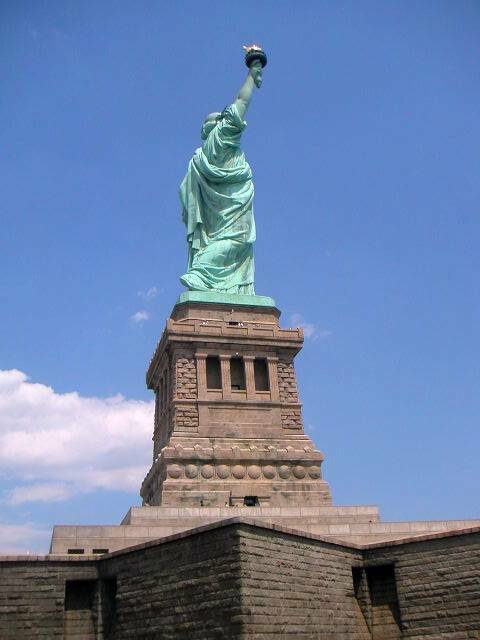 Pedestal of the Statue of Liberty at New-York. This is a monumental neoclassical pedestal built in stone and Britain armed with iron. You have all the details of this work this page. The castle is Montmery Ambazac, in Haute-Vienne, France. 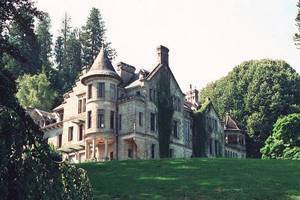 This is the only work that Morris Hunt performed outside the United States, except for her study work, and it is in France that it happened: The architect built for the family Haviland, near Limoges, the castle of Montmery. It is stone. The summer home of the Vanderbilt family. 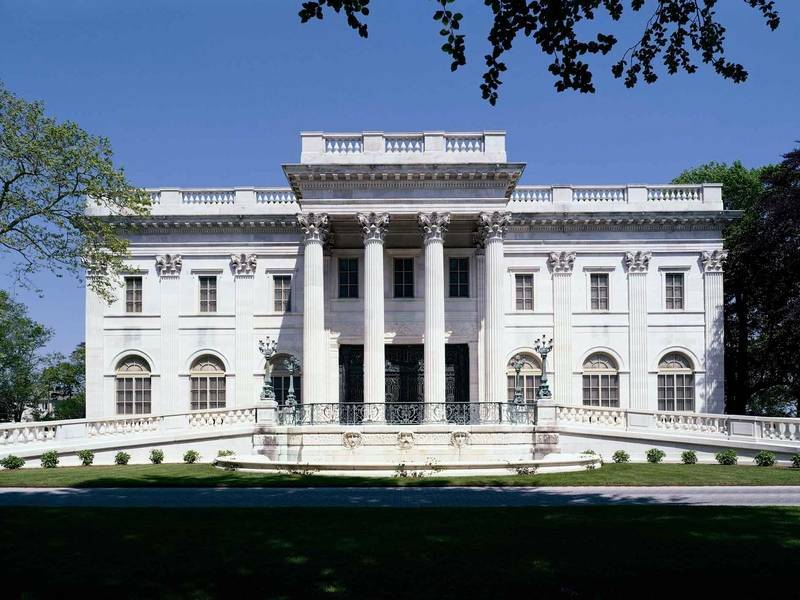 Commissioned by William Kissam Vanderbilt, Morris Hunt built this magnificent neoclassical style house that was later nicknamed "Marble House" (Marble house). 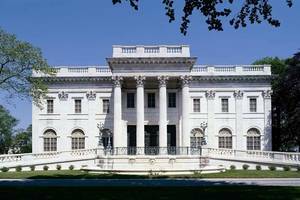 This is a country house whose main source of inspiration was the Petit Trianon at Versailles (France) It cost me a whopping $ 11 million, of which 7 were spent on 500,000 square feet marble. 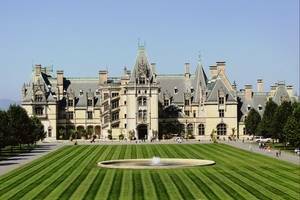 A very big house in North Carolina. Large country estate, this stone building required 7 years of work. 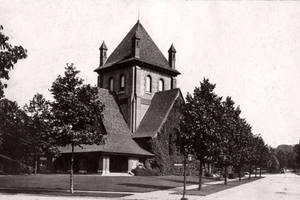 Morris Hunt was the architect, other professionals were: Samuel I. Bean (Stonemason), John T. Corbin (stone sculptor), Richard Howland Hunt (architect assistant), Richard Sharp Smith (Supervisor). 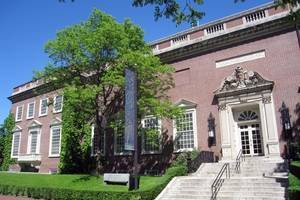 The facade of the main art museum in New York, designed by Morris Hunt. Morris Hunt is not the architect of the museum, but he designed the facade and the central pavilion. He chose a style which he used and was very much in fashion at the time, the neoclassical. 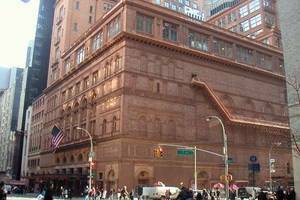 Carnegie Hall, the famous New York theater, was worked by Morris Hunt. This famous building was built by William B. Tuthill, Morris Hunt there has been a consultant role. The Biltmore village, created from scratch. 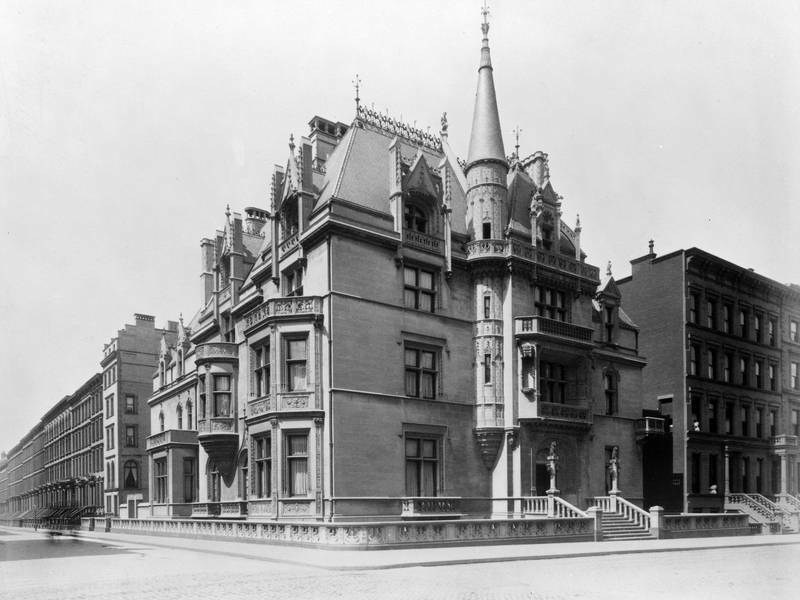 George Vanderbilt, billionaire who built her residence by Morris Hunt, wanted a lordly town outside her residence, he proposed its construction in Frederick Law Olmsted who made it out of the ground. 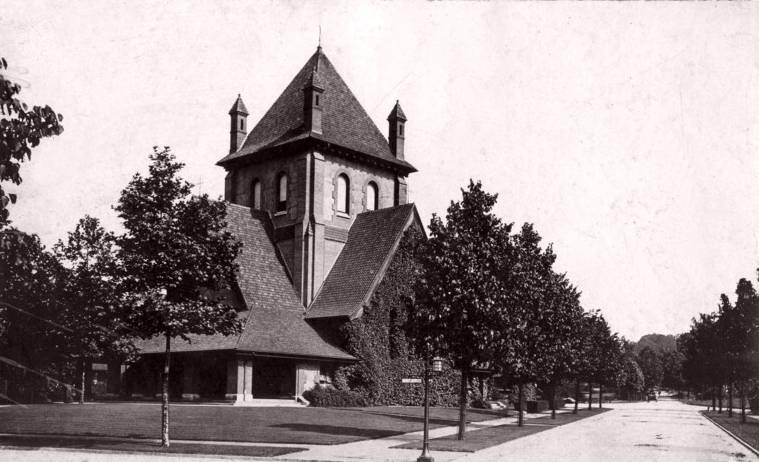 Richard Morris Hunt designed some of the original buildings, the railway depot, the church. Most of these buildings are of brick covered with stucco or plaster, and some had timbered. The authors of the village have preserved the style of the existing farm buildings at the Biltmore. After the death of Hunt, Richard Howland Hunt and Richard Sharp Smith continued to design buildings of this picturesque village, most of which are still present today. A similar style was used by Smith to the building in Asheville YMI for house black workers, sponsored by Vanderbilt. 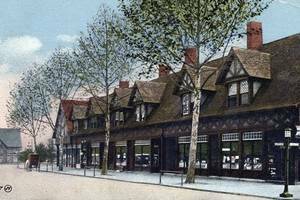 Among the buildings of Biltmore Village which were credited to the contracting company JM Westall ago: Cottage H, L Cottage, Cottage Z (Swann St.), the barber, Swannanoa Biltmore Lodge and ticketing, school Biltmore. 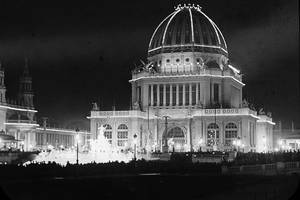 The administrative building built for an exhibition, the 'Chicago's World's Columbian Exhibition' 1893. The administration building is probably the masterpiece of Hunt. 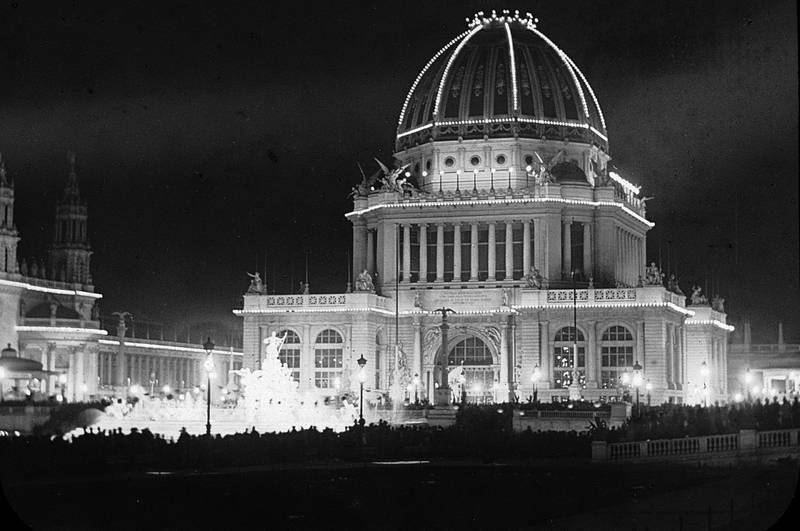 Built at the end of her career, it is an administrative building built for an exhibition, the "Chicago's World's Columbian Exhibition" (1893). This building allowed Hunt to receive the Gold Medal of the Institute of British Architects. 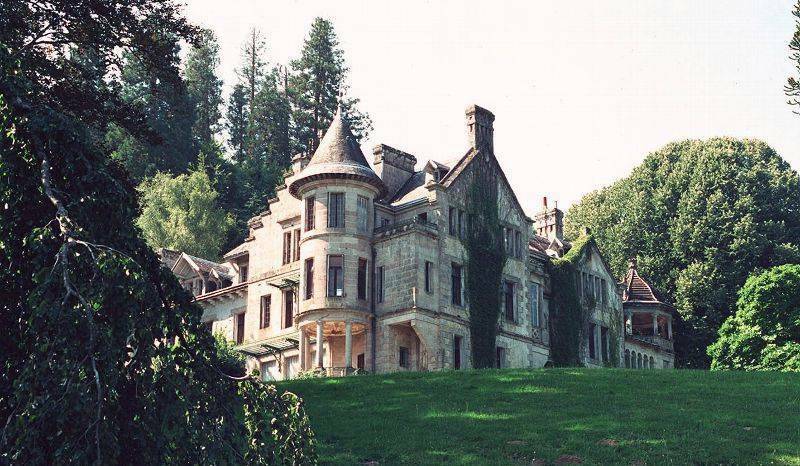 The manor of the Astor family, nicknamed Beechwood. 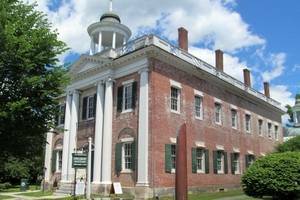 This large house was built in 1851 for the merchant Daniel Parrich. 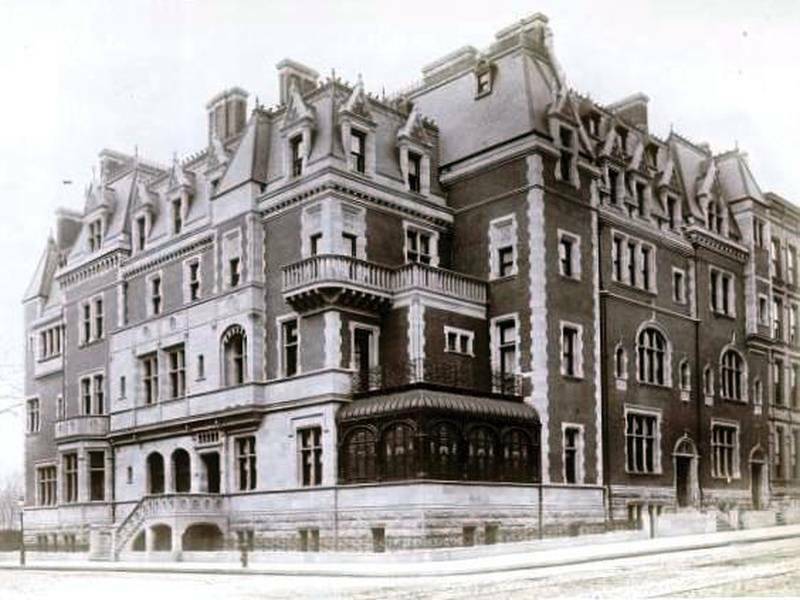 Later became a property of the Astor family, it did intervene Morris Hunt to make a complete renovation. The cost of these changes at the time was 2 million dollards. The house was the setting for many films and series. 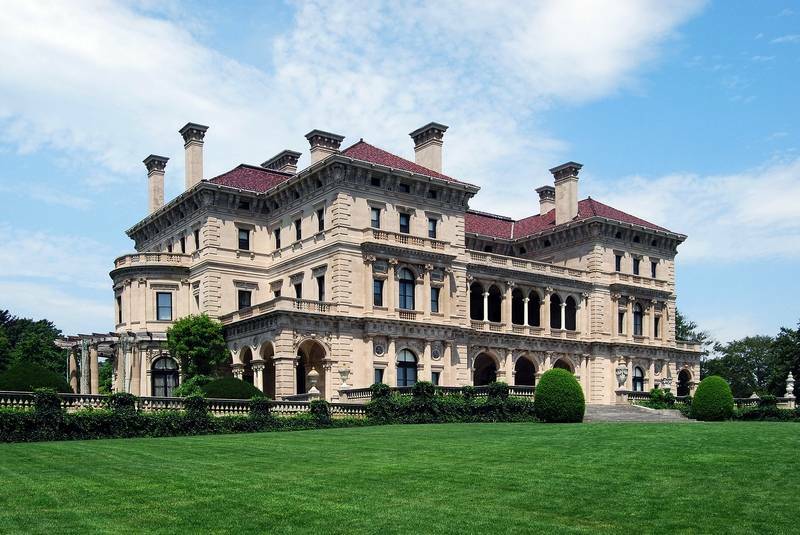 The Breakers, Newport Mansion Vanderbilt family. 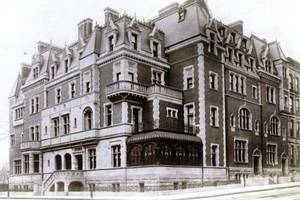 "The Breakers" is the name of a country manor large built in 1893 by Morris Hunt at the request of Cornelius Vanderbilt II, American billionaire who want to own a home in the sea. The style chosen was that of the Italian Renaissance. This imposing building has 70 rooms on 62,482 square feet on five floors. The park entrance is an iron gate over 9 meters high which extends over the entire metal barrier fence, except on the sea coast. The residence is built on top of a cliff, clearing the view of the ocean. The materials used are stone and iron because the owner wish to have a house fire test. The interior decoration was made by Jules Allard and her son and by Ogden Codman, Jr. The Episcopal Cathedral of All Souls, Biltmore old chapel. 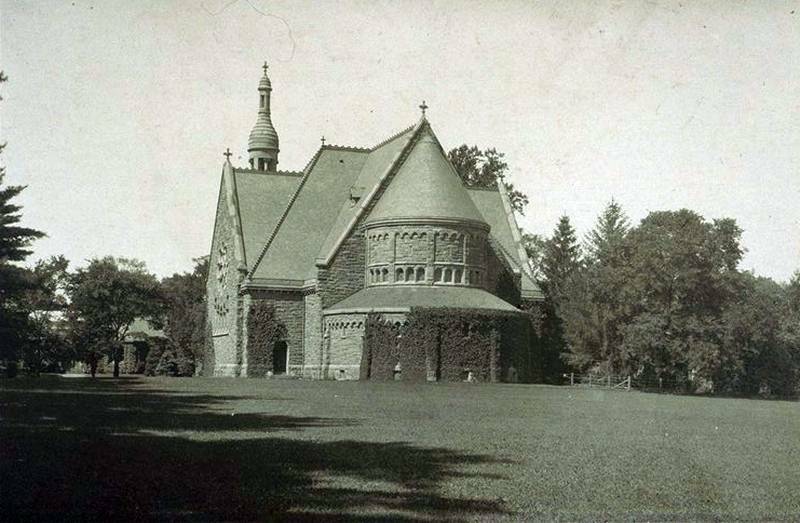 One of the latest achievements of Morris Hunt was the design and construction of the chapel of Vanderbilt. It is based on a plan in the shape of a Greek cross, with the short nave. According to some observers, it is one of the best and most discreet late works Hunt, and sometimes it is cited as one of the most beautiful churches in the late nineteenth century in North Carolina. This chapel is now the Cathedral of the Episcopal Diocese of North Carolina, West.